We’ll provide some insights and review some of our value DFS defense picks for week 7. Buffalo Bills – Salaries: DraftKings (DK) – 2300, FanDuel (FD) – 3400. The Bills’ salary ranks them 19th/21st on DK/FD, respectively. The betting lines with the Colts has the game total at 42.5 points (3rd lowest on the board) with the Bills as +6.5 point road dogs. The Colts’ implied team total is currently at 24.5 points and the Bills are currently at 18 points. Against the Colts last week, the Jets’ defense logged 3 picks with one getting returned for a TD, and a fumble recovery, finishing with 13 fantasy points. The Colts give up the 11th most fantasy points to opposing defenses and cough up the 3rd most giveaways with 13. Andrew Luck is tied for the league lead in interceptions with 8. The Bills’ defense ranks 3rd in yards allowed per game with 311.7 and rank 12th in points allowed with 23. The Bills’ defense also ranks 3rd (tied) in sacks with 19, 5th (tied) in QB hits with 40, and 6th (tied) in takeaways with 12. The Bills logged 7 sacks, 2 picks, a fumble recovery, and held the Texans to 14 points. Buffalo’s 14 fantasy points scored ranked them 4th (tied) last week. The Bills’ defense ranks 8th in rushing yards allowed with 92.5/gm while the Colts’ offense ranks 30th in rush yards with 83.2/gm. Even if the positive game script holds for the Colts, Luck (the league leader in pass attempts by 24), should not have the luxury of a heavy run-game, leaving the Bills’ defense a pathway to score points. WR TY Hilton put in a full practice on Friday and is off the injury report so he’s good to go. Hilton should see a lot of Tre’Davious White in this matchup. 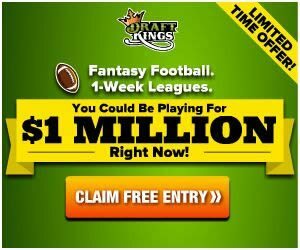 Detroit Lions – Salaries: DraftKings (DK) – 2400, FanDuel (FD) – 3500. The Lions’ salary ranks them 15th/14th on DK/FD, respectively. The betting lines with the Dolphins are currently off-the-board as QB Ryan Tannehill’s (shoulder) status for this week is currently unknown. Brock Osweiler would step in again were Tannehill to miss. Against the Dolphins last week, the Bears’ defense logged 2 picks and a fumble recovery. The Dolphins’ offense ranks 22nd in points per game with 21.7 and 27th in total yards per game with 330.3. The Lions’ defense ranks 25th in points allowed and 17th in total yards allowed per game with 27.4 and 367.8, respectively. The Dolphins give up the 8th most fantasy points to opposing defenses and hand over the 4th (tied) most giveaways with 12. The Lions’ defense recorded 4 sacks and 3 fumble recoveries against Green Bay in week 5. Detroit is coming off their bye. Yes, a Brock-stack won someone the Milly last week, but it would be a pretty safe bet to make that this won’t be happening again. Coming off their huge overtime upset over Chicago, this smells like a let-down week for the Dolphins, and Detroit makes for a cheap play to take advantage. Tannehill has been ruled out so Brocktober gets the start. The betting lines with the Dolphins has the game total at 47 points with the Lions as -2.5 point road favorites. The Dolphins’ implied team total is currently at 22.25 points and the Lions are currently at 24.75 points. Arizona Cardinals – Salaries: DraftKings (DK) – 2700, FanDuel (FD) – 3900. The Cardinals’ salary ranks them 9th/11th on DK/FD, respectively. The betting lines with the Broncos has the game total at 40.5 points (lowest on the board) with the Cardinals as +2.5 point home dogs. The Broncos’ implied team total is currently at 21.5 points and the Cardinals are currently at 19 points. The Broncos’ offense ranks 26th (tied) in points per game and 12th in yards per game at 20 and 387.7, respectively. The Cardinals’ defense ranks 13st (tied) in points allowed and 24th in yards allowed per game with 23.2 and 394.3, respectively. At Denver last week, the Rams’ defense recorded 2 sacks, a pick, and held the Broncos to 20 points. The Broncos rank 13th against defenses in fantasy points allowed. The Broncos also give up the 14th most sacks with 15 and the 2nd (tied) most interceptions with 8. The Cardinals’ defense ranks 5th (tied) in sacks with 18, 7th (tied) in QB hits with 39, and 8th in takeaways with 11. Arizona is currently the 5th (tied) highest scoring fantasy defense on the season. The Cardinals’ defense logged 4 sacks, 1 pick, and a fumble recovery returned for a TD, finishing with 14 fantasy points, ranking them 4th (tied) last week. Both defenses would make for viable plays actually, but the Cardinals are slightly cheaper on both sites. Both defenses are the worst two against the run, so either way, this game should be a low-scoring, ground slugfest. 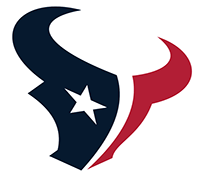 Houston Texans – Salaries: DraftKings (DK) – 2800, FanDuel (FD) – 4000. The Texans’ salary ranks them 8th/2nd on DK/FD, respectively, making them a better relative value on DK. The betting lines with the Jaguars has the game total at 41.5 points (2nd lowest on the board) with the Texans as +5 point road dogs. The Jaguars’ implied team total is currently at 23.25 points and the Texans are currently at 18.25 points. The Jaguars’ offense ranks 29th in scoring and 16th in yards per game with 18.2 and 371, respectively. The Texans’ defense ranks 11th in points allowed and 9th in yards allowed with 22.8 and 341.7, respectively. The Jaguars rank 28th against defenses in fantasy points allowed and also hand over the most (tied) giveaways with 14. Blake Bortles has thrown the 2nd (tied) most picks with 8. Last week, the Cowboys’ defense recorded 3 sacks, 1 interception, 1 fumble recovery, and held Jacksonville to 7 points, to finish with 11 fantasy points. The Texans’ defense ranks 12th in the fewest fantasy points allowed to offenses and 5th (tied) in fantasy points scored. Against the Bills, the Texans’ defense logged 2 sacks, 2 picks, one of which was taken to the house, a fumble recovery, and held Buffalo to 13 points, finishing with 20 fantasy points, ranking them 2nd last week. The Texans’ defense gets a solid matchup across the board against a Jacksonville offense that terrifies no one.